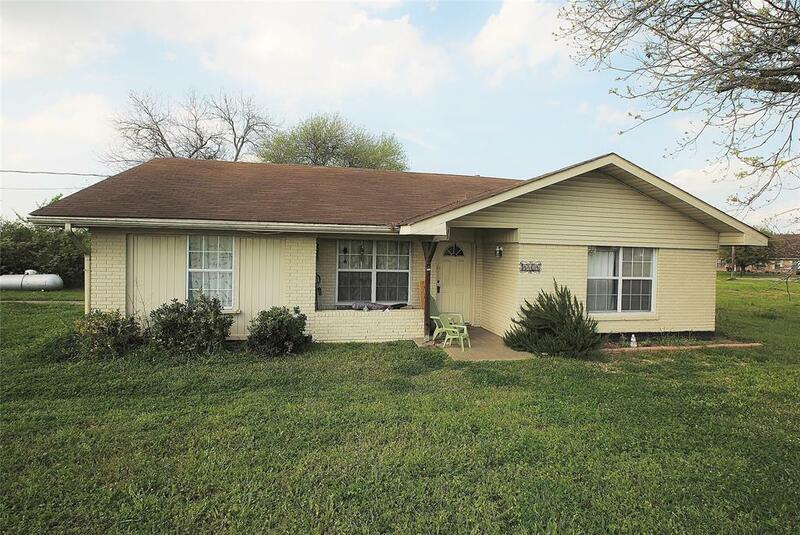 Awesome 3 bedroom, 1 bath brick home in central Brenham! A tiled front porch welcomes you to the entrance of the home. Open the front door and find an entry area that leads to the family room. 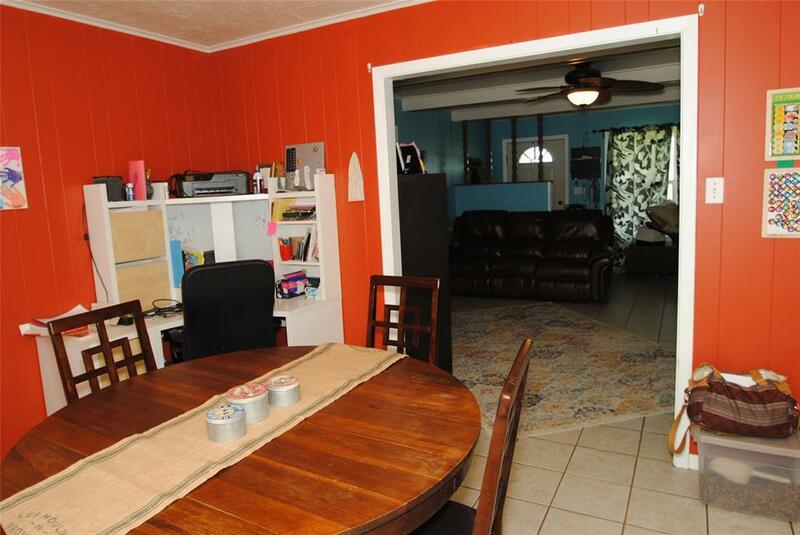 The dining area has a charming built-in china cabinet. 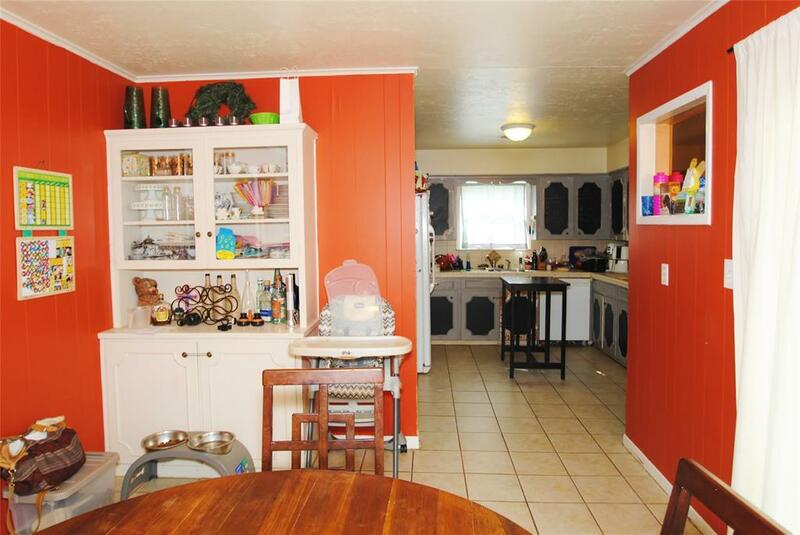 There is a nice kitchen with chalkboard painted paneled cabinets, tile countertops, electric oven, electric cooktop, and side by side refrigerator. These appliances will convey with sale along with the washer dryer in the utility room area. The large utility room has built-in cabinetry.There are two bedrooms with nearby bath on one side of the home and an additional bedroom on the other side. This room is functioning as a playroom but is versatile and could be also used as a bedroom or study. 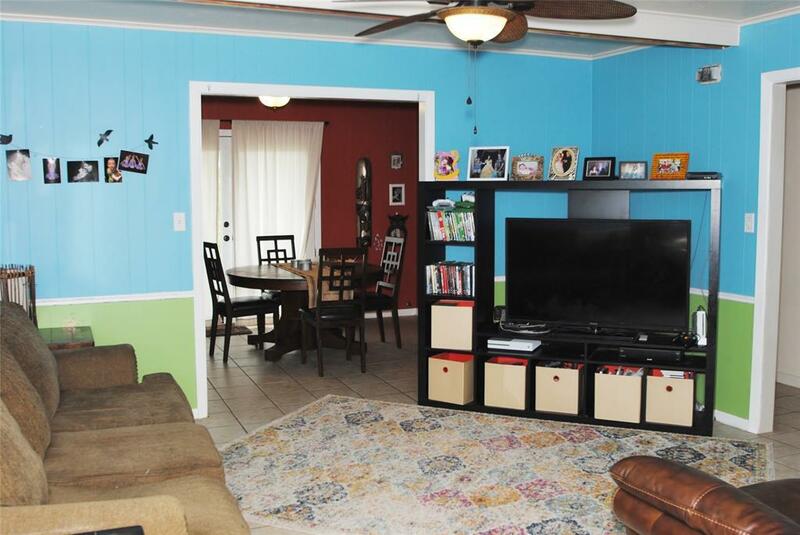 There is tile flooring throughout most of the living area and laminate flooring in the bedrooms. The large, fenced back yard is another positive added feature with two large pecan trees plus other mature trees to provide plenty of shade!